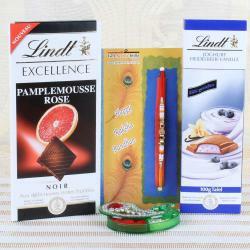 Product Consist: Lindt Excellence Pamplemousse Rose Chocolate (Weight: 100 gms), Lindt Himbeer-Vanille Chocolate (Weight: 100 gms), Lindt Lindor Milk Chocolate (Weight: 200 gms), Designer Rakhi along with Roli Chawal Container. If you like to surprise your sister or brother on this auspicious moment of Raksha Bandhan with customized rakhi gifts, then visit leading websites. 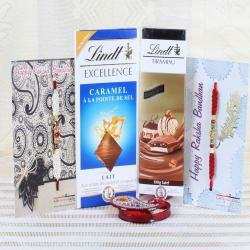 The leading sites offer exclusive Rakhi gifts for your brother. Sending customized rakhi gifts to your dearest brother is undoubtedly the best way to convey your care and love. 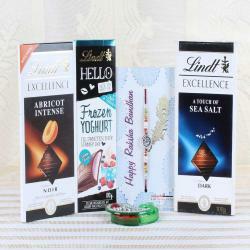 The online portals offer the best selection of rakhi gifts that will quickly uniquely express your care and affection. 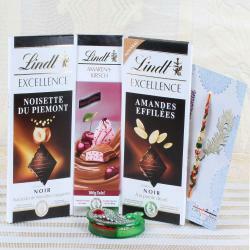 Gift your rakhi with a special gift, sweets, chocolates, dry fruit and much more. This online portal offers some exclusive Rakhi gifts to you to choose for your cute brother or sister. 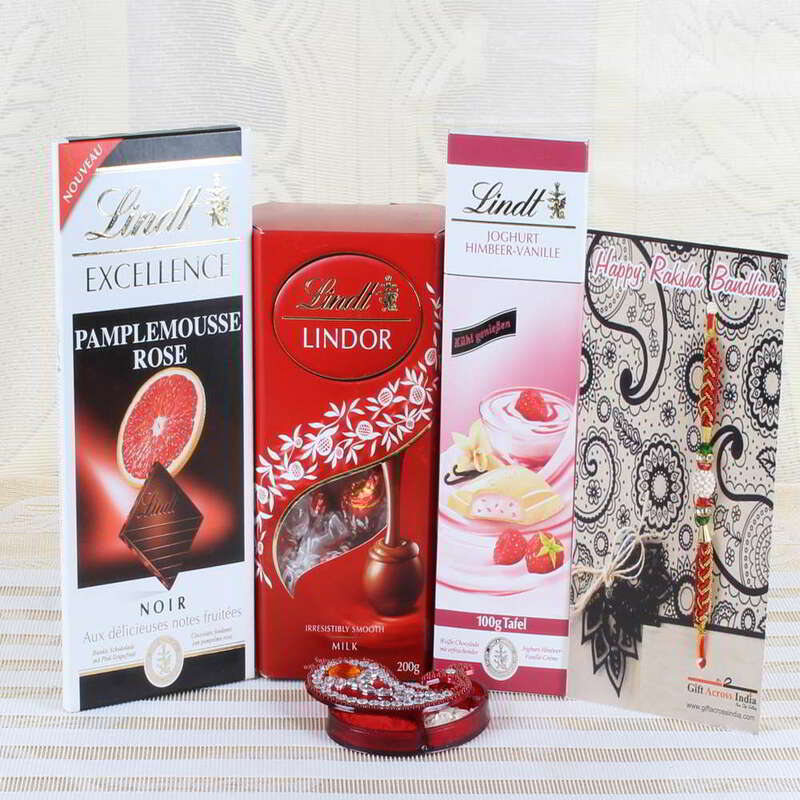 Product Consists of: Lindt Excellence Pamplemousse Rose Chocolate (Weight: 100 gms), Lindt Himbeer-Vanille Chocolate (Weight: 100 gms), Lindt Lindor Milk Chocolate (Weight: 200 gms), Designer Rakhi along with Roli Chawal Container.